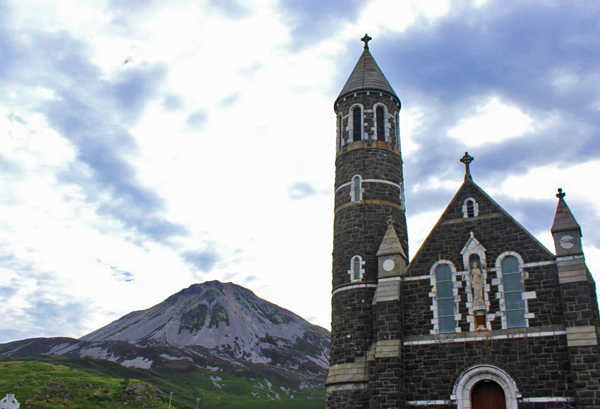 A few weeks back we went on a road trip from Cork to Donegal and back – covering 16 counties in all. When we came back we wrote up a number of posts in our weekly newsletter (see to the side of this post if you want to sign up for free) – and these were some of the MOST popular newsletters we have done so far. This is Part 2 of our Roadtrip – go here to see part 1. 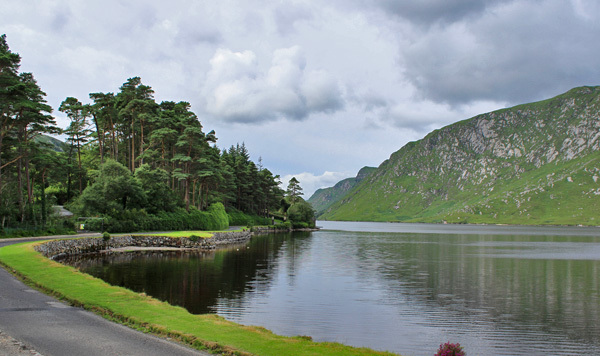 This week on our road trip around Ireland, we move on to the counties of Sligo, Donegal, Leitrim and Fermanagh. 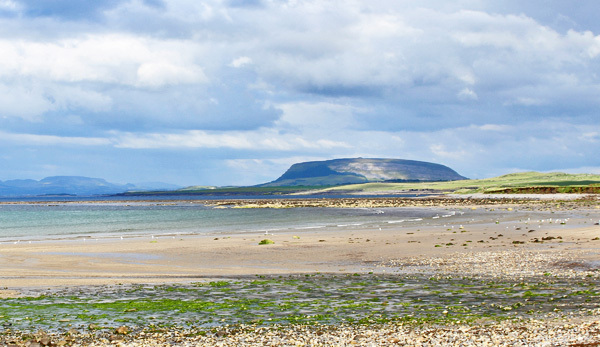 Sligo is a pocket-sized gem of a county tucked away up in the north-west of Ireland. 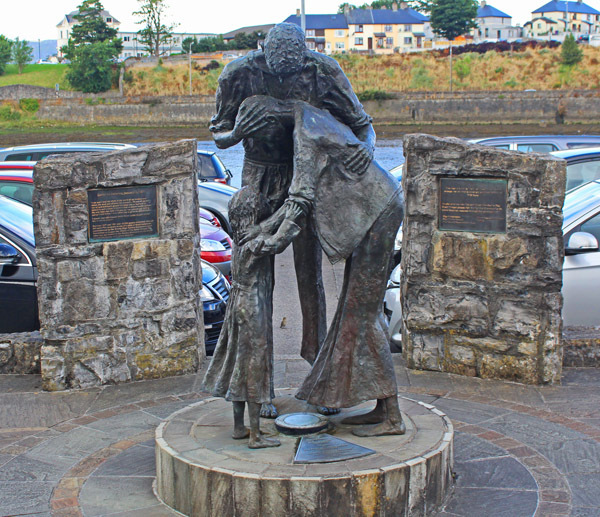 The County itself was formed in 1585 and is named after the main port town of Sligo. The first thing you notice about Sligo are the amazing array of megalithic tombs and other stone age remains. 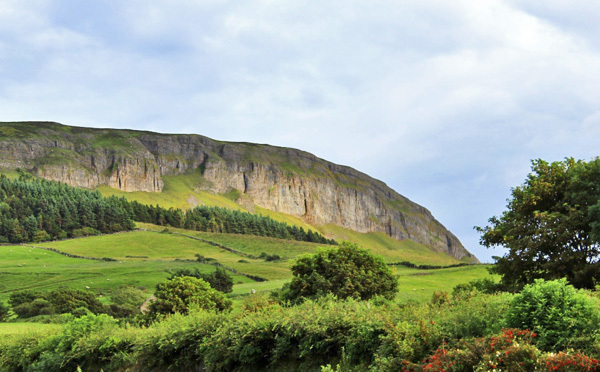 So many layers of history surround you- all to the backdrop of wonderful wonderful altar mountains like Ben Bulben. Maybe you’ve visited and experienced this for yourself? Before it became a county, the territory was originally under the MacDermot clan, who were then replaced by the Norman Burkes in the twelfth century. It was then claimed by a branch of the O’Connors (lots of O’Connor clan branches throughout Ireland), who ruled as underlords of the O’Donnells of Tir Connaill. Sligo avoided plantation and settlement in the 17th century – so you tend to find a majority of Gaelic surnames in the county. The county is also strongly linked with the name of the poet W.B. Yeats, the Nobel prize-winning poet, who is also actually buried in the village of Drumcliffe – it’s hard to avoid his presence on the tourist trail wherever you go. Other surnames associated with the county include O’Dowd, Clancy, Harte, Burke, McDOnagh, O’Hara, Mulrooney, O’Gara, Waters, Breheny and McSharry. Are your folks from Sligo? Do feel free to share any comments or questions you may have at the end of this post. 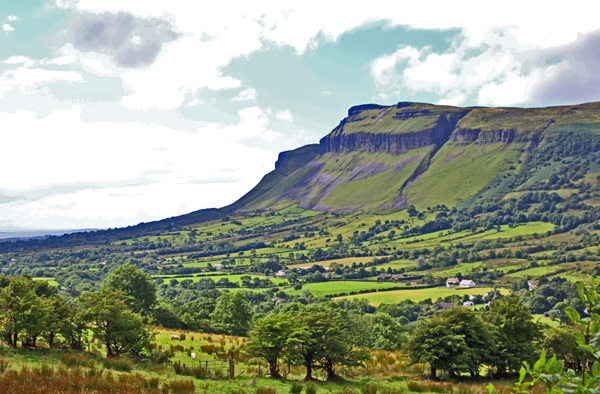 The drive today from the town of Sligo eastwards to Leitrim is one of the most beautiful drives in the world. You head into beautiful plateaued mountains and through wild green wooded valleys. 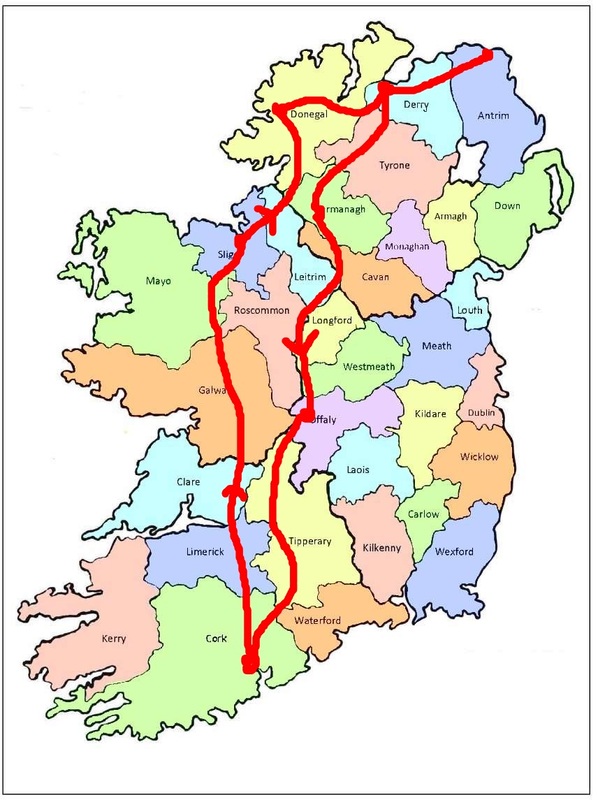 This was probably close to the way Leitrim was before the County was formed in 1565 from the west part of the Kingdom of Breifne. The O’Rourkes ruled this territory for more than 700 years until the final dispossessions of the seventeenth century. Their lands were granted to English landlords such as Villiers and Hamilton at that time, but the planned settlement of English planters never really took off. But the most striking thing for me is the story in the population numbers for of Leitrim. This really highlights the shocking overpopulation (and poverty) that existed in the county prior to the famine. Since the famine, the population was in decline all the way to 2002 – and then became the fastest growing population in Connaught in recent years. But still only to 31,000 people. Other family surnames associated with the county include Mulvey, Rooney, McGovern, McHugh, McKeon, Reynolds and Kiernan. Are your folks from Leitrim? Do feel free to share any comments or questions you may have at the end of this post. Things start to get wilder in Donegal! As you drive north and west – the country becomes more mountainous and boggy. Road signs start to appear in Irish. You have arrived in the land of Tir Chonaill! 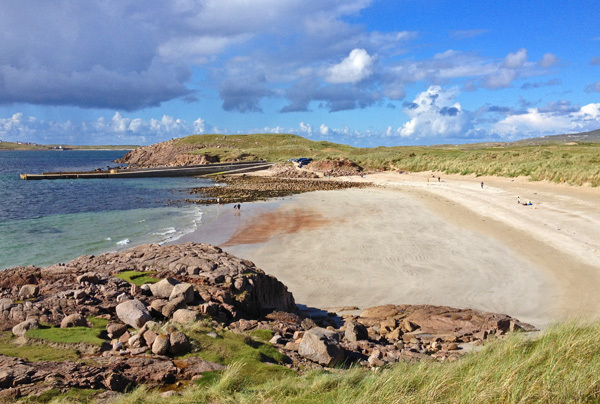 County Donegal is famous for being the home of the Clann Ó Domhnaill ( the O’Donnell Clan). 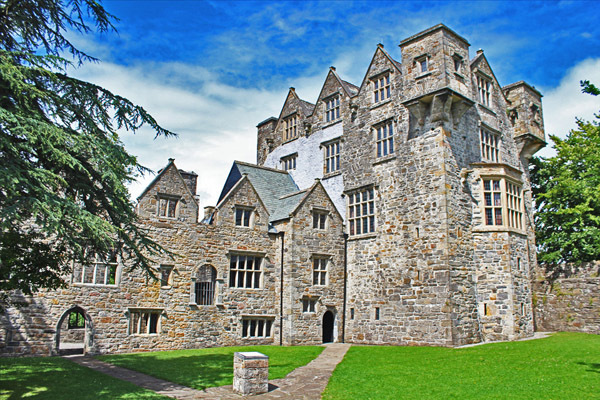 Up until the early 1600s, the O’Donnells were one of the most powerful Gaelic families in Ireland. In early times, the area was part of the kingdom of Aileach founded by Conall and Eoghan, the two sons of Niall of the Nine Hostages. Eoghan took Tyrone (Tír Eoghain, “Eoghan’s land”) and the Inishowen peninsula, while Conall took the rest of the modern county, which became Tír Chonaill, “Conall’s land”. The modern County Donegal was created in 1585 by amalgamating the old Kingdom of Tír Chonaill with the old Lordship of Inishowen (the O’Doherty clan). 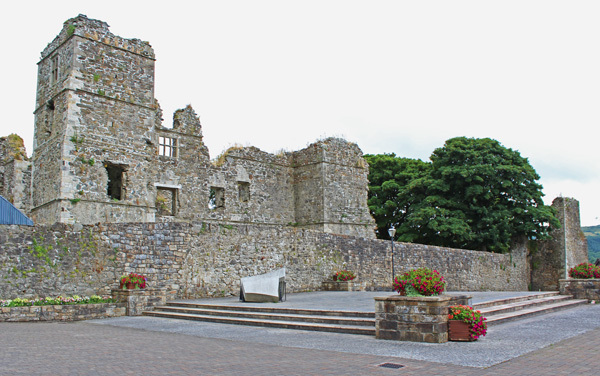 Based at Donegal Castle, the power of the O’Donnell Kings only ended in September 1607, following the Flight of the Earls from near Rathmullan. This incident is often seen as the end of the reign of the Gaelic chieftains in Ireland. 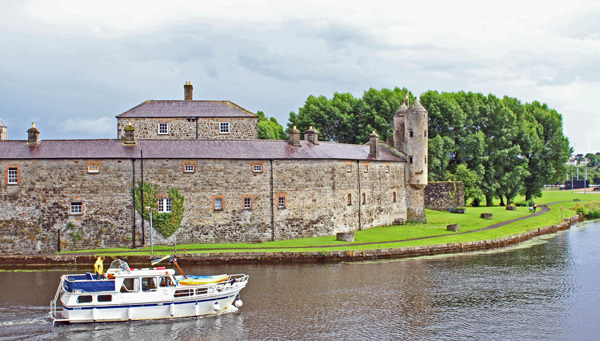 The county was one of those ‘planted’ during the Plantation of Ulster from around 1610 onwards and you will find pockets of Ulster Scots settlement in towns like Ramelton. Other surnames associated with the county include Gallagher, O’Boyle, MacSweeney, McFall, McLaughlin, O’Doherty, Gillespie, Breslin, Bonar, Brannan and McDaid. Are your folks from Donegal? You know the drill! Comments at the end of the page if you wish. We passed into County Fermanagh at the town of Blacklion in County Cavan. The last time we crossed the river that seperates Northern Ireland from the Republic was back in 2008. Back then, the remnants of 30 foot high lookout posts looked out over the border. Although they were no longer in use, they were a very physical reminder of the “troubles” that affected this area of the country for so many decades (and longer). When we crossed the river today in 2013, the lookout towers were demolished and there were no signs to suggest you had crossed from one political jurisdiction to another. Just a “welcome to county Fermanagh”. How things have changed for the better! 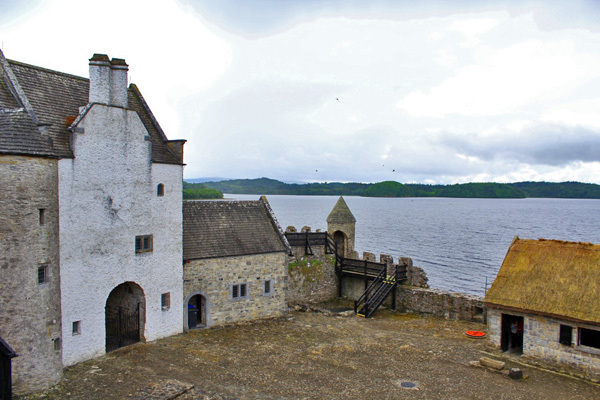 County Fermanagh comes from the Irish “Fir Manach” – meaning “men of Manach” and was a stronghold of the Maguire clan up until the early 1600s. 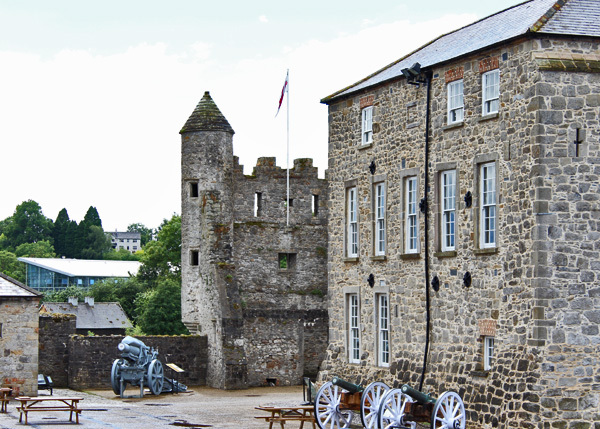 They had their main castle in the modern town of Enniskillen. However on the confiscation of Gaelic lands, the county was divided between Scottish and English undertakers and native Irish. The chief settler families to benefit under the new divisions were the families of Blennerhasset, Cole, Hume, Butler, and Dunbar. Other names common in the county include Rooney, McGovern, McGoldrick, McCartan, Johnston, Nixon, Ferguson and Irvine. Are your folks from Fermanagh? And thats it for this week – next week we continue our road-trip north into County Derry. See you then. 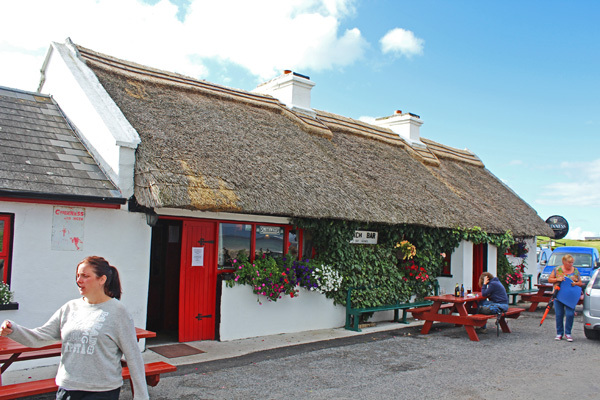 See Part 3 of our 17 County Roadtrip of Ireland. I have visited Sligo several times. Four of my great grandparents were born there. I am researching Durkin, Marren, Kilroy, and Mulligan. Thank you for your newsletter!! I appreciate it! Hi Kate – lots of great Sligo names. Thanks for the positives! Mike. Hello Kate, I have Durkin’s on my Mom’s side of the family. Dont know ANYTHING about them other than they lived in Astoria, Queens, NY.. prior to these Great-Grandparents I do not know anything. Would be interested to see what you find out! And there’s plenty of it too Eileen! Mike. Hi Margery – I thought did answer this before for you elsewhere on the blog – I just cant find it! Pogue is usually a version of “Pollock” – which you will find in NE Ulster including parts of Cavan. This would be a planter name originally. Hope this helps! Mike. My Grandparents are from Donegal! My Grandmother was Gillespie,related to Bridie Gallagher; my great Grandmother was Rose Gallagher. My Grandfather was O’Shiels(Shields in USA); my Great Grandmother was Sarah Quinn. TRYING TO FIND OUT MORE ON MY FAMILY! Great sight..Thank You. Thanks Michelle – great Ulster names there! Mike.